Home » creative » Food n Beverage » Free » HP » instagram » laptop » photo » slogan » Starbucks » Valentine » HP Sprocket Be my Valentine Contest: Share memories with your loved one and win prizes up to RM6,500! 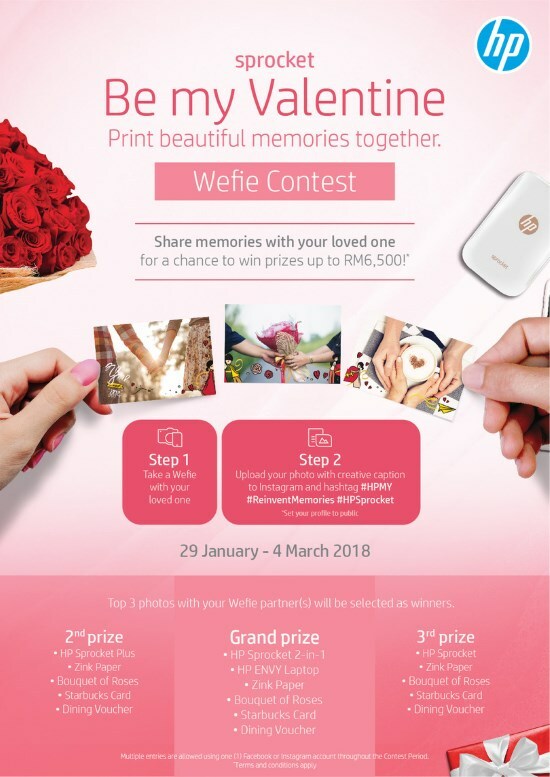 HP Sprocket Be my Valentine Contest: Share memories with your loved one and win prizes up to RM6,500! Take a wefie with your loved ones. Visit HP Sprocket Be my Valentine for more details.